Like seasoned artists, the bbr marketing team took my visions, thoughts, goals and expectations, and with their added element of targeted market research, turned those things into a tangible reality. In an extremely short time frame, the bbr marketing professionals set forth a marketing game plan, executed on that game plan, and to this day, continue to deliver more than what they promised. bbr marketing is more than marketing – they are now a strategic partner in the success and growth of my firm. 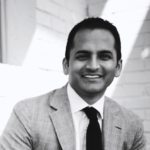 After quite a bit of soul searching, Mitesh Patel decided it was time to start his own firm in early 2011. Like everything Mitesh does, he wanted to do it right! 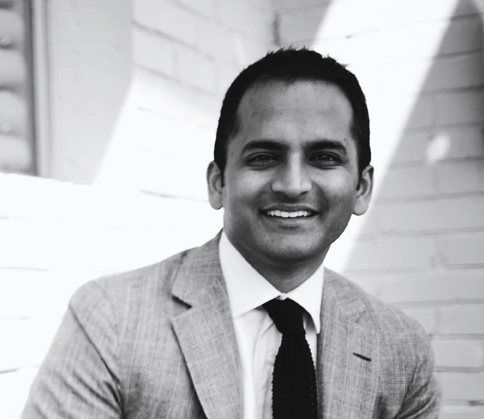 Mitesh provides top-notch legal services to his business clients, and he needed to create a brand and firm launch that matched the level of service he provides. We were thrilled when he called bbr marketing to discuss what was needed and how to manage his May 2, 2011 launch. Time was of the essence (it was March after all), so bbr marketing started immediately by helping Mitesh name his firm. It was important that his firm name and website URL be the same, to avoid confusion in the market. Since Mitesh Patel is a rather prevalent name, it was a little harder than expected to come up with an original name. We eventually settled on MJ Patel Law Group, and reserved the URL of www.mjpatellaw.com. We then developed a very clean, sophisticated and memorable logo for his firm, followed by business cards and a stationery package. The next step was to create a website that was informative and easy to navigate yet clearly communicated the personality of his firm. After reviewing a few different designs together, we settled on a look that used large images as the background of each page. The copy had to be clear and succinct while carrying enough keywords that his site would come up in appropriate Google searches. Additionally, we were developing his social media presence on LinkedIn, Facebook and Twitter, as well as writing early blog posts. With that many moving parts, it can be challenging to stay on top of everything. Add to that the fact that all this was going on behind the scenes because Mitesh was still employed at his previous firm. However, with a lot of hard work and many weekend and evening meetings, we were able to pull it off successfully. When he opened his doors on May 2, Mitesh’s site was live, his cards were printed and his social media pages were up and running. He also had his first blog post uploaded, with three others ready to go for the coming weeks. The response has been great. His clients and referral partners have said wonderful things about his site and overall branding. He is proud to hand out his cards and talk about his new firm. Even his bio is getting rave reviews, particularly the part about his penchant for Scotch nosing, which is leading to invitations to partake in his popular hobby from clients and referral partners alike. We at bbr marketing are pleased with the results and proud to have been a part of his firm launch. We’ll raise a glass with him and toast to many years of unbridled success!